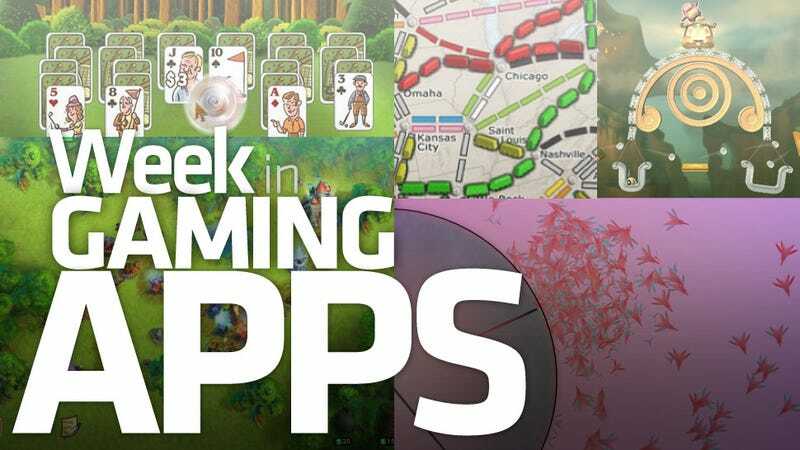 Any one of this week's Gaming Apps of the Day could easily crush you beneath their heavy metal feet. When all five of them join together, however, they're one giant pissed-off strategic defense robot that's got the Empire State in its sights. Will anyone survive? Worry not, fair citizens; the only thing this week's apps will kill is productivity, and no one cries when productivity dies. Especially when the murderers are so entertaining and varied. We've got a map-based board game; a space-based real-time strategy title; a golf / solitaire hybrid; some tower defense; and whatever the hell it is Owen did this week. This is the first week in ages I haven't actively contributed a Gaming App of the Day. I am slightly melancholy, but that's nothing giant robot metaphors can't fix. Trust Me. Fairway Solitaire Is an iPhone Solitaire Game You Should Play.